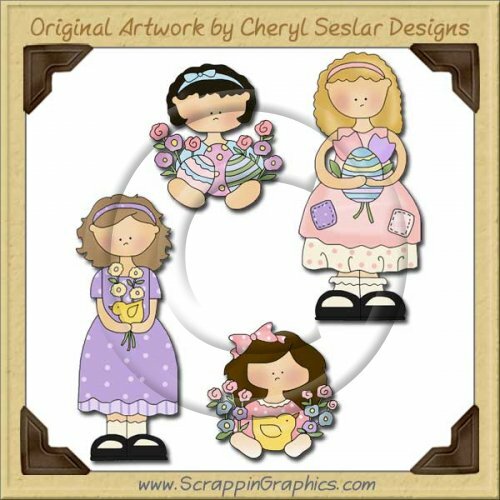 This collection of these whimsical and charming graphics is perfect for all your Easter or Springtime projects. 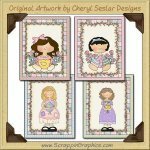 This set includes 4 different graphics: girl standing with Easter eggs, girl standing with chick and flowers, girl with Easter eggs, girl with chick and flowers. Great collection for making scrapbook pages, cards, labels, tags, invitations, and other printables.